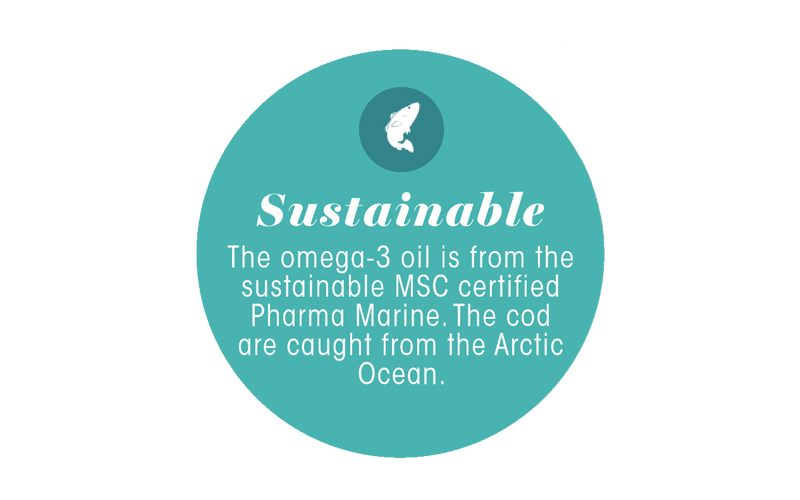 EQ Pure Arctic Oil contains omega-3 oil sourced from cod fished off the coast of Norway. Discover Ålesund – the city in Norway where the story of this oil begins. The CodMarine® Fleet consists of 7 new factory trawlers based in Ålesund, Norway. Our oil is produced in Pharma Marine AS within 6 hours from the fish is caught. You can trace your bottle of EQ Pure Arctic Oil by locating the fishing vessel that harvested your oil. Just see the place where it was fished from the home page at eqology.com. Also, you can follow the whereabouts of ships by using Marinetraffic.com – an open, community-based project, which provides real-time information on ship movements. Norwegian cod fisheries are certified by the Marine Stewardship Council (MSC). The MSC is an international non-profit organisation that promotes sustainable fishing standards and practices. MSC certification, depicted by a blue label on seafood products in the shops, represents the gold standard for best practice in the fishing industry. Only 10% of the world’s fisheries carry MSC Marine Fisheries Standard certification. Moreover, the MSC Chain of Custody Standard, a traceability and segregation standard, that applies to the full supply chain from a certified fishery to final sale ensures the MSC blue label is only displayed on products genuinely sourced by their standards. The Pharma Marine production facility has this MSC Chain of Custody Standard certification and includes innovative, modern technology that allows an extensive purification process of the finished products they manufacture. From March 2017, Eqology is MSC certified as well. By these means, our customers can rest assured that the omega-3 in our EQ Pure Arctic Oil is of the highest quality, sourced and processed to the highest standards of sustainability. Residual raw material from cod has been a vital source of omega-3 for centuries. Cod fishing and the manufacturing of cod-based products played a significant role in the economic development of Norway. This nutritious and easily stored dried fish could sustain seafarers for months at a time. The white gold, as many called it, made salted clip fish and cod liver oil a trading commodity during the Viking period – something to be exchanged for more exceptional goods such as wine. 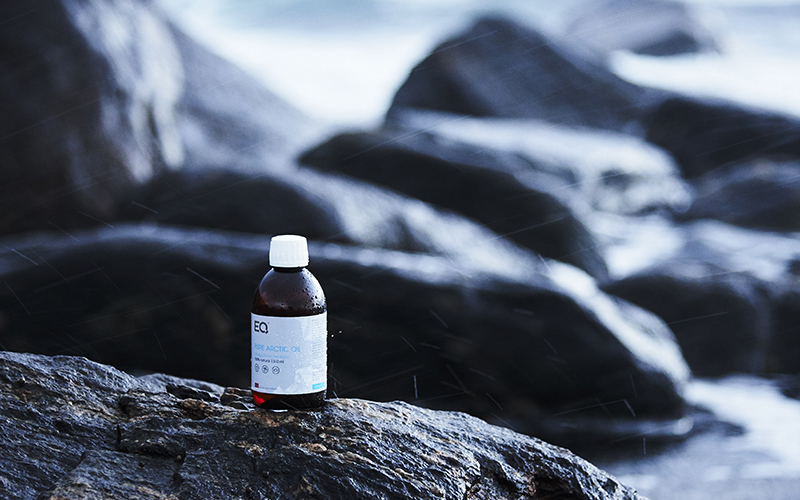 The omega-3 manufacturer Pharma Marine AS is located near Ålesund on the Western coast of Norway – a region where marine oils have been manufactured for over 130 years. In addition to its advanced technology, the facility has a top-notch research laboratory which is one of the most environmentally friendly omega-3 equipment in the world. The facility received its MSC Chain of Custody Standard certification in February 2014. The principal shareholder and CEO of Pharma Marine is Leif Kjetil Gjendemsjø. He was raised at his family’s fishery, he began his career there and has worked with marine products ever since. The omega-3 oil from the Arctic Ocean is considered to be of the most exceptional quality. Through years of experience Pharma Marine has built the competence and technology to safeguard the quality of the necessary omega-3 fatty acids. The production facility focuses on sustainability, safeguarding the resources for future generations. The cod head and liver are especially fatty and contain a lot of omega-3. Pharma Marine advocates close collaboration between the marine refining industry and fishers to utilise 100 % of the fish harvested from the sea. Gjendemsjø is dedicated to high quality combined with using what we take from nature in its entirety and respecting it as we do so. His top tip for determining the quality of oil is taste: “If the pure oil, before anything is added, tastes good, then it is of high quality”.